Phew, what a scorcher! As temperatures soar, it can be tempting to avoid all exercise over the summer for fear of becoming a red, panting, sweaty mess. However, these gentle yoga postures, combined with deep, cooling breaths will help you stay cool, calm and contented. 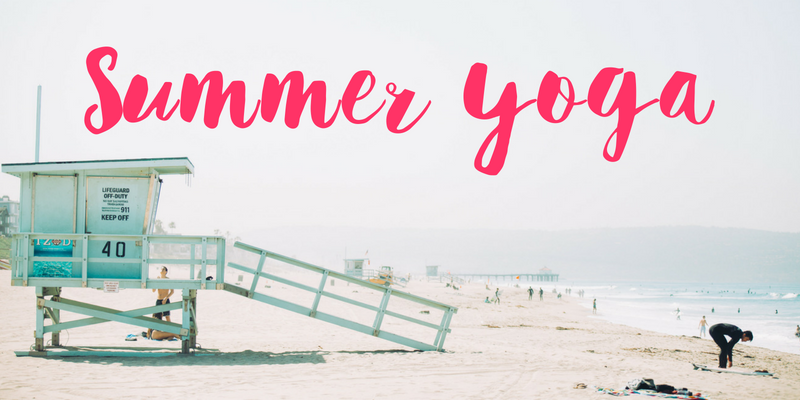 Why not try try some yoga to stay cool with your little ones over the school summer holidays? We recommend trying these postures barefoot, under a tree, on a blanket, followed by a cool drink and a yummy picnic! Snake pose activates neck, shoulder and hand muscles, building strength and supporting fine motor skills such and drawing and writing. It develops balance skills (crucial for playground games) and improves a child’s ability to focus. 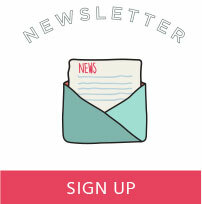 It is therefore a great activity to do over the summer holidays, ensuring that your child returns to school feeling prepared and ready to learn. Snake pose involves supporting some of your weight with your arms & shoulders. It is a type of ‘pushing’ or proprioceptive rich pose. These types of poses are proven to be calming, regulating and soothing. They help us to regulate our senses. Snake pose is therefore a perfect pose to try when we are feeling hot and bothered! After snake pose, curl up into mouse pose, reversing the spinal curve that you just made in snake pose. Allow the back and neck muscles to release and relax. 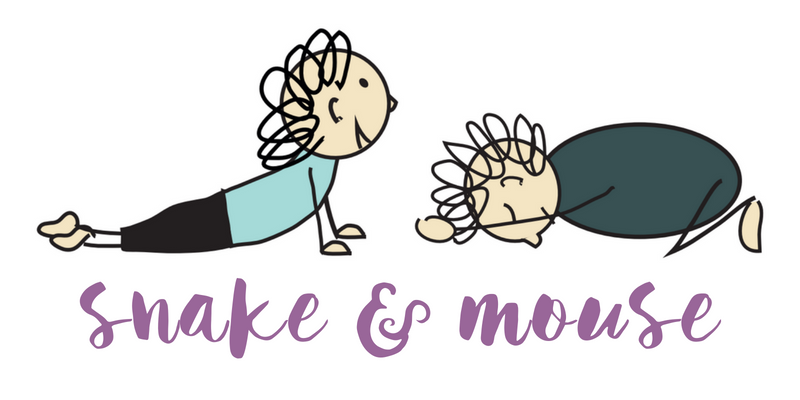 In mouse pose, take a few moments to focus only on your breath. Listen as you breathe. Does it sound like a little like the cool waves of the ocean..? Tree pose improves balance skills, strengthens core muscles and develops concentration skills. It is therefore another fantastic pose to prepare for school, while having fun. As you sway gently in tree pose, feel the cool breeze on your face and through your branches. Even if there is no breeze, encourage children to imagine one, as visualisation is an incredibly powerful tool! If you are outside, observe the trees above and around you. Notice their strength through flexibility. A tree will sway in the wind, but remain deeply rooted. Think about the shelter and shade that a tree provides to humans and other animals. Perhaps take a moment of gratitude for the trees around you. On a really hot day, try resting cold apples from the fridge in each hand as you balance in tree pose. Sheetali pranayama is a a yogic breathing technique which can help to cool the body. Firstly, sit comfortably, close your eyes and take a few deep breaths. Then (if you can), roll your tongue into a tube, with the sides coming up towards the top (see photo below – credit: Yoga Lily). Breathe in slowly, allowing the air to flow in through your ‘tongue-tube’. Notice how the air cools, as it travels across the surface of your tongue and enters your body. Uncurl your tongue, close your mouth and breathe out through your nose. Then repeat for 10-15 breath cycles. 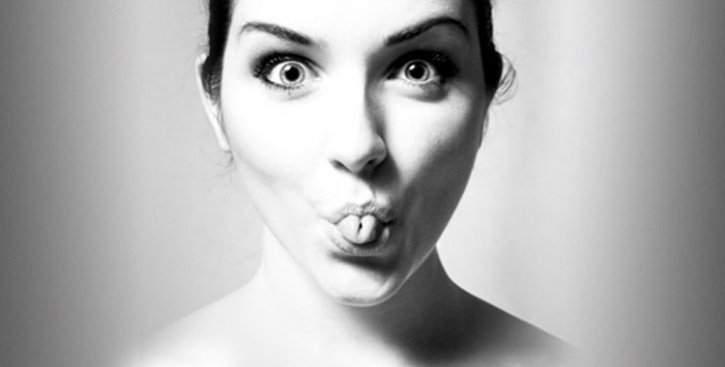 Not everyone will be able to curl their tongue, but it is fun to try! Butterfly pose improves seated balance and posture. As you flap your butterfly’s beautiful wings up and down, imagine that you are fluttering over a meadow on a cool breeze. If you need to rest, lean forward over your feet like a sleeping butterfly. 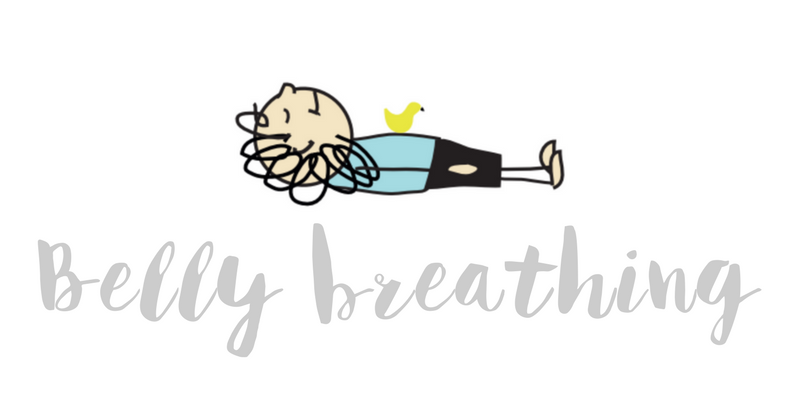 Deep belly breathing automatically slows the heart rate, helping us to relax and feel calmer. It can help to boost energy levels and is wonderful to do when children are feeling exhausted from the summer heat. 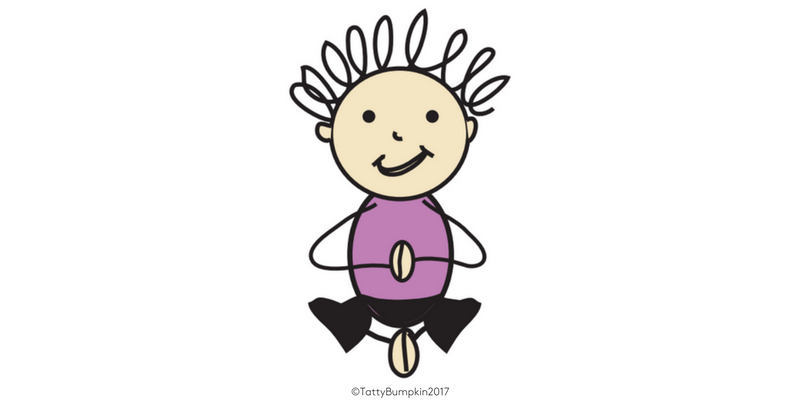 Try placing a toy on the child’s tummy, or encourage them to rest a hand there and feel it moving upwards on the in breath and downwards on the out breath. This awareness of the breath and how it changes the way their body feels, will teach children the life skill of relaxation. Try doing this pose with your legs raised, feet resting against a wall or tree trunk. This encourages blood flow to the heart and is incredibly refreshing and restorative. 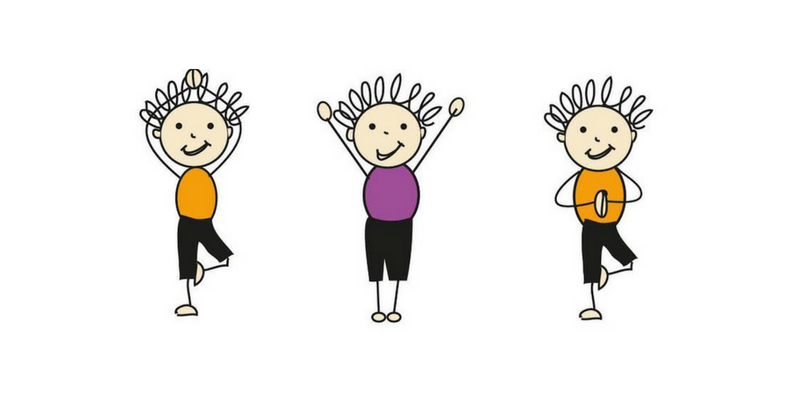 Don’t forget to book your Children Inspired by Yoga classes for September, or contact your local teacher to find out about their summer clubs and classes.